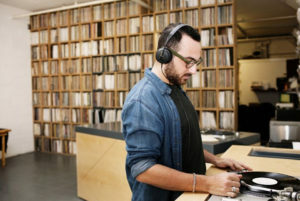 One of the things we have increasingly seen record labels, especially lower level DIY record labels engage in these days is simple music licensing and distribution deals. Many record labels have decided that rather than do the A&R and PR that the old school labels pretty much view as required is not necessary and they can simply make their money off of licensing the music and distributing the albums. This model has been in full effect in recent years with the development and growth of bedroom labels run by twenty somethings who love music but lack any solid connections and the sort of understanding of the music industry that makes the legendary labels so well known. It’s an interesting dynamic to have to deal with and I for one really enjoy the possibilities that licensing and distribution companies offer – even if I doubt they are always the way forward. Before we go forward I want to expound a little bit on what a music licensing and distribution deal is and why they make money for people. Music licensing and distribution deals essentially mean that the label will print your record and sell it through their distributor. They minimize overhead costs by limiting marketing and PR and thus only need to sell a few hundred copies (If that) to make their money back. Instead of getting an advance the label usually just gives the band product, that is to say, records. These labels work on two levels. The larger ones sign bands that have really hands on managers so it doesn’t really matter anyway. They simply front some money and then get their investment back and then some so they can pay their staff and keep distributing records. For the smaller ones it’s a similar idea, but more driven by hyper niche markets where the people running the label know that they can make the money back relatively quickly. It’s an appealing model. After all, it makes you into a record label CEO for minimal work. Of course limiting yourself likes this means there is a bit of ceiling on what you can do with your record label. It means that you’re not really going to have a chance to develop your artists and the odds are unless you have a really strong roster of bands then you are going to have a hard time keeping acts over the long term. They are going to want to move to labels that offer more PR options and have A&R people to help market them. So a lot of these organizations find themselves in a position where they need to hire someone to help develop artists and invest in better PR. Hell – some licensing and distribution centric labels are so DIY hat they don’t even have their own PR branch – a harsh limitation for many bands trying to make themselves better known. It just speaks to the almost nihilistic brutality that these labels can have. Like I said though – there are some definite advantages for the artist with licensing and distribution deals. They tend to be a lot less restrictive and you can be assured of greater autonomy. While a lot of young artists are scared of the potential responsibilities a major label could offer, for understandable reasons, a L&D deal gives you a bit more liberty and isn’t quite as much of a commitment. It can act as a solid stepping stone from being an unsigned act to working with major players in the industry in order to figure out how to bring your music to the most people. Hell – some artists just want licensing and distribution because they are so confident in their management that they would rather not be in debt to a label because the know that they already have the resources they need to develop themselves as a product in house. That’s why you see so many bands opening up their own record labels – it just makes sense! What I’ve noticed though is that the labels who try to set themselves up as pure licensing and distribution tend to shift over into a model that is a bit more proactive in developing artists once money starts to come in. After all – this sort of stuff can be a lot of fun and can make you more money if you invest more time into it. No one running a L&D deal is in it purely for the money – there simply isn’t enough. Eventually they learn that by connecting with other professionals they can end up selling far more records and creating a better and bigger future for their bands. I know that you could technically achieve the same result just by hiring a bunch of managers, but is that really worth it? From the labels perspective they have to trust people who are not in their immediate control and who have no incentive to engage in the moneymaking side of the band that will actually generate money for the label. I know that sounds crass and unfortunate but sadly that’s just the way it happens to be in the world of independent music. In the end – the decision to sign to a L&D deal is really case by case. While I personally would recommend against it I certainly can understand situations where it might make sense. I manage bands signed to L&D deals right now and I am very happy with them. The label in some cases might not be as stoked, but that’s because they don’t know me and my ironclad resolve to get these albums put out and selling as many copies as possible. I also know that this way my bands don’t owe money to labels and can instead just focus on making money rather than paying back debts. While I do certainly wish I could have more people on my team sometimes that’s just the way the cookie crumbles and we need to embrace these deals as the fundamental part of the industry that they are.